Rae-Rae: Lifeless hair be gone! Used this today and thought i'd sing it's praises a little bit. 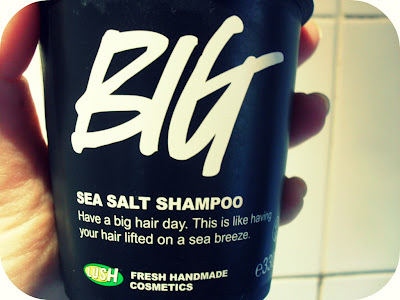 This is Big by Lush, it's a sea salt shampoo, which is designed to add volume. This has done wonders for my hair, my hair is currently quite long, i've got naturally dead straight hair which can become a bit flat and lifeless. I tend to have to wash it everyday because it gets quite greasy quickly, (I know you're not meant to but I just prefer it, feel sort of grim if I don't). So anyway I was browsing in Lush and saw this and the sales advisor told me it was good for giving volume and getting rid of any product build up so I decided to take the plunge and try it. First of all on appearance this could put people off, it does look a bit weird, its kind of like an off white jelly looking substance, but you just have to look past it. I think it smells lovely but my sister hates it! It smells fresh and clean which I like, Lush state that its neroli, mandarin, orange flower absolute and vanilla. 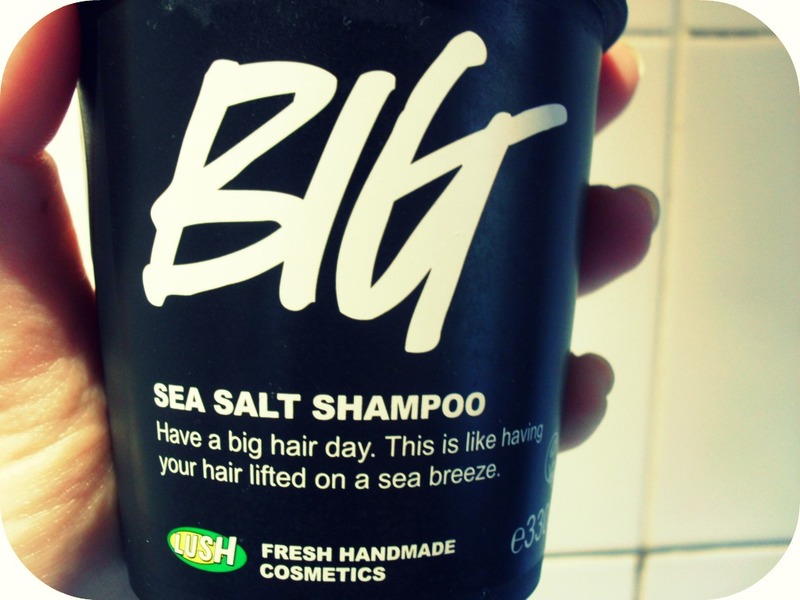 Because it's made up mainly of sea salt there are no synthetic preservatives which is a plus. Secondly it's best to shampoo and rinse with this twice, the second use makes it lather up really well, and your hair will be literally squeaky clean! Finally I would say to use a little bit of conditioner after this just so its a bit easier to comb through afterwards but honestly this is the best hair product i've had in a long while. I tend to use it once or twice a week as it gets rid of any build-up from other shampoo's and gives my hair a bit of life if its looking flat. Oh it's also a vegan friendly product! It retails for £10.95 for 330g, but it lasts quite a long time, and I wouldn't recommend using it everyday, I've found that I go through a tub every month or so. I have heard that Seanik one of Lush's shampoo bars is a good alternative if you don't want to spend as much, Seanik is £5, I haven't tried it myself yet but might be worth a go if you'd rather not fork out nearly £11! Overall though Big is definitely going to be staple in my hair care routine for a while. Ohhh... I suffer from flat, lifeless hair, no matter how much I blow-dry it upside down or use volumizing products it just flattens within seconds! Anyway, great post! Think I'll definitely have to give this a try, thanks! awesome I will tot try! Love Lush.